Let’s start at the very basic beginning of couponing. Take your sales paper and circle every item you have a coupon on that you want to purchase, or that is a great deal. 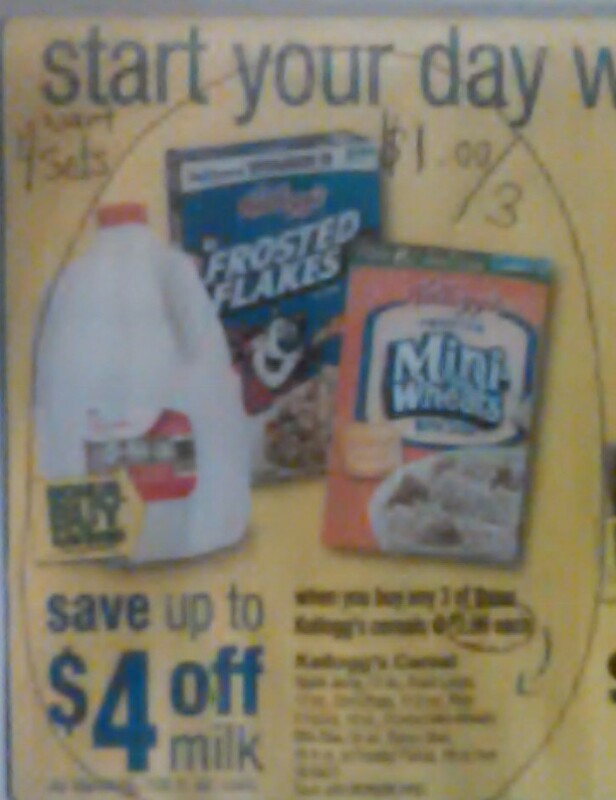 Mark the circled item with the redeemable amount of the coupon that you have. Write down how many of each item you need. Figure out if each set you want to purchase has different products that go together or if you’ll be buying ___ amount of the same item. Do the math to check to make sure you are getting the lowest price you can. Note: Because the sale says ‘up to $4.00’ you can only account for the actual price of the milk. That’s why I used $3.79. Mark the total amount the item will cost after coupon is applied. These steps will keep you from getting confused or having to recheck your coupons when you’re shopping. What’s the best deal you’ve seen in a sales flyer this week?